A recent report to our state utility commission indicated that demand for electricity could outstrip local supply as early as 2014. Consequently, our region could see rolling power outages during summer peak demand. Citizens can help the state meet this challenge by reducing electrical demand. 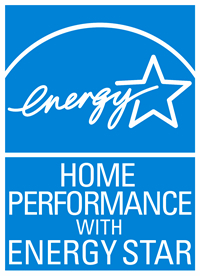 Home Performance with ENERGY STAR®, a partnership between utilities, the EPA, and the Department of Energy, is a program designed to assist homeowners become more energy efficient. We liked this because we could save money, reduce our carbon footprint, and contribute to the energy sustainability of our region. Our ENERGY STAR audit started with a visit from an Energy Star–certified contractor that managed the entire process; first by conducting an assessment of our home for just $99.00. The assessment included a full audit of our air conditioning system, ductwork, insulation, and building envelope that took approximately 6 hours. Then, a representative walked us through what they had discovered and recommended steps for improvement. According to the report, “shell leakage” was our biggest issue. The shell is the part of the home that separates the cooled and heated interior of the home from the outdoor air. Our shell was so leaky that the inspector could not properly conduct the test to determine the extent of our problem. Upon further inspection, he found that a major culprit was “ceiling penetrations” from 80 can (ceiling) lights we had installed to reduce floor and table lamps to create a more open floor plan. My bad. Our contractor recommended replacing 60 of the can lights with new LED units that would not only seal the holes, but also provide us with more efficient, mercury-free lighting and considerable savings in energy (9 watts LED vs. 60 watts incandescent each) at a cost of $3,650.00. Our total bill for this and the other recommended actions (including rebates) was $12,000. If their estimates are correct that we could save 50% on our electric bills, we should see repayment in less than 5 years. I really enjoyed this post and I found it particularly interesting. I love that each step of the process is detailed but with a personal twist. Keep writing!